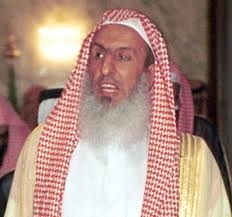 Saudi Arabia’s Grand Mufti confirms Islamic hostility for churches. The Grand Mufti made his assertion in response to a question posed by a delegation from Kuwait, where a parliament member recently called for the “removal” of churches (he later “clarified” by saying he merely meant that no churches should be built in Kuwait): the delegation wanted to confirm Sharia’s position on churches. As with many grand muftis before him, the Sheikh based his proclamation on the famous tradition, or hadith, wherein the prophet of Islam declared on his deathbed that “There are not to be two religions in the [Arabian] Peninsula,” which has always been interpreted to mean that only Islam can be practiced in the region. Considering the hysteria that besets the West whenever non-authoritative individuals offend Islam—for instance, a fringe, unknown pastor—imagine what would happen if a Christian counterpart to the Grand Mufti, say the Pope, were to declare that all mosques in Italy must be destroyed; imagine the nonstop Western media frenzy that would erupt, all the shrill screams of “intolerance” and “bigot,” demands for apologies if not resignation, nonstop handwringing by sensitive politicians, and worse. Yet the Grand Mufti—the highest Islamic law authority of our “friend-and-ally” Saudi Arabia—gets a free pass when he incites Muslims to destroy churches, not that any extra incitement is needed (nary a month goes by without several churches being bombed and destroyed throughout the Islamic world). In fact, at the time of this writing, I have not seen this story, already some three days old, translated on any English news source, though “newsworthy” stories are often translated in mere hours. Likewise, consider the Grand Mufti’s rationale for destroying churches: it is simply based on a hadith. But when non-Muslims evoke hadiths as authoritative—this one or the countless others that incite violence and intolerance against the “infidel”—they are accused of being “Islamophobes,” of intentionally slandering and misrepresenting Islam, of being obstacles on the road to “dialogue,” and so forth. Which leads to perhaps the most important point: Islam’s teachings are so easily ascertained; there is no mystery in determining what is “right” and “wrong” in Islam. The Grand Mufti based his fatwa on a canonical hadith, which Muslims and (informed) non-Muslims know is part of Islam’s sources of jurisprudence (or usul al-fiqh). All very standard and expected. And yet the West—with all its institutions of higher learning, including governmental agencies dealing with cultural and religious questions—is still thoroughly “confused” as to what Islam teaches.